Intelligent online retailers consistently apply and manage a few key business principles very well within their business therefore maximising every opportunity to gain and sustain competitive any form of advantage. As consumers become increasingly value driven and impatient, every retailer is try to differentiate themselves from the ‘rest’. Some focus on price, product exclusivity and incentives while others focus on innovation technology, customer experience. A few retailers apply a combination or all of the above. 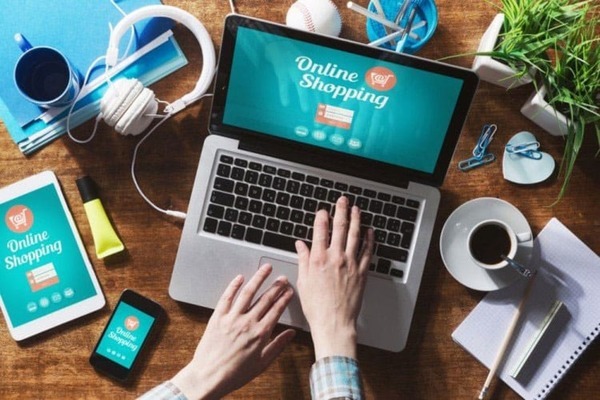 Nevertheless, if consumers find immense value in using price comparison websites to find the products they want at the best price or with the best incentives then retailers must accept that they should be monitoring their competitors as often as possible to win as much of the consumer spend as they can. Online retailers are certainly wiser now than at any point in history. With access to sophisticated intelligence tools and consumers, they are now making smarter decisions around competitive pricing and product assortment performance compared to other retailers. This will continue to be in areas of competitive importance including direct price changes, deals and promotions, introduction of new products and even the discontinuation of other products. The fundamental truth remains that if price tracking is something consumers engage in to get the value they want, then retailers must surely see this as an opportunity to ensure that they do their best to remain front of mind for the potential customers and ideally positioned to be the supplier of choice. Online retailers receive actionable pricing intelligence on the cheapest and most expensive products on the market, out of stock and delisted products while implementing recommendations from automated audits on individual products compared to the cheapest competitor match or alternative. A key component of the report is to provide business critical information that is tailored to your business goals whether short, medium or long term. The opportunity for automatch function means that gathering information is faster and more relevant. Personalised reports affords every retailer the opportunity to be more dynamic in their approach to not just fighting to survive but also sustain and increase profitability. Online retailers have full visibility on any product price changes from target competitors including change amounts by value and percentage. This information can be used to spot opportunities and increase margins. Some retailers undoubtedly admit that their price policy is the very heartbeat of their business and their ability to track competitor prices daily could certainly make or break their business. The retail sector has increasingly become survival of the fittest and in the race to win consumer spend, any intelligent retailer would want to know who their competing with, gather as much information about them as often as they can and strategize against these tactics based on their own business goals. Intelligent online retailers set unique triggers and are informed when their competitor’s take an action that sets off the trigger. They set unique triggers when a certain percentage of their competitor products have been reduced. This could indicate competitor strategy to begin their seasonal sales or discounting initiatives, providing intelligent retailers with actionable information. Unique triggers are exactly that; ‘Unique’. This functionality gives retailers increased control on aspects of their competitive landscape that are relevant and important to the survival and profitability of their business. Savvy retailers who are currently executing competitive price monitoring initiatives could actually have a competitive advantage by simply executing this strategy especially as 75 percent of retailers do not monitor their competitors daily. Intelligent online retailers use historical trends from competitive pricing to adjust prices at notable periods, run certain promotional incentives to capitalise on a forecasted opportunity or even drop a whole product line altogether and consider new products that may help achieve your objectives be it more sales, higher margins or both. Historical pricing data also allows retailers to gain competitor trends and patterns when it comes to pricing for certain products and product categories and various times of the year. Effective price monitoring platforms will provide a side by side retailer and product price comparison where insights can be gained into competitor reaction to price changes within their marketplace. Intelligent online retailers receive actionable insights that complement their business scenario planning. This could be looking at trends to see how competitors have priced based on seasonalities, new product launches or even end of line stock. Rather than trying to predict the future, retailers have the information they need to identify scenarios are possible and try to deal with the impact of these scenarios on their business. This exercise will also encourage closer communication, planning and collaboration within and between departments. Online retailers receive recommendations based on set goals. Some retailers aim to offer the most competitive prices and receive custom recommendations on products that could be reduced to be the cheapest. Others may want to be 10% cheaper than their closest competitors at all times and receive recommendations on how and where to increase prices while being most competitive. It’s easy to get distracted while trying to stay ahead of the competition so only monitor competitor activity that is most impactful to your business. Automate your Competitor Monitor activity. It’s far more efficient and effective to receive tailored reports and recommendations daily than doing it yourself.